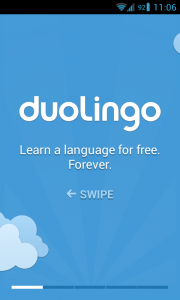 Duolingo is an awesome little app that only wants to do one thing: teach you another language. 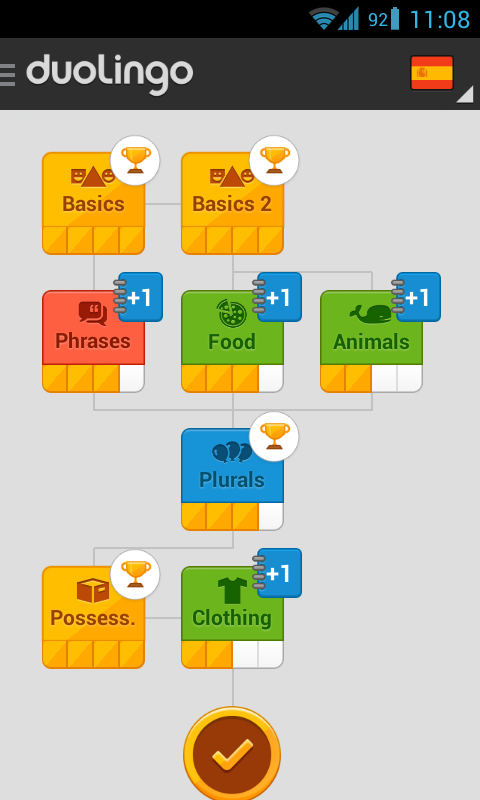 Unlike certain competitors like Rosetta Stone, Duolingo tries to do it by treating the learning process as a sort of game: you level-up, there are points, there are rankings, there are streaks and you can even compete with friends. 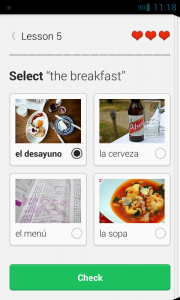 This is one of the things it does differently, but not the only thing: in practice, Duolingo tries to shake things up a bit by constantly switching between your native and learning language, establishing correlations automatically and trying to make you do things from different perspectives. 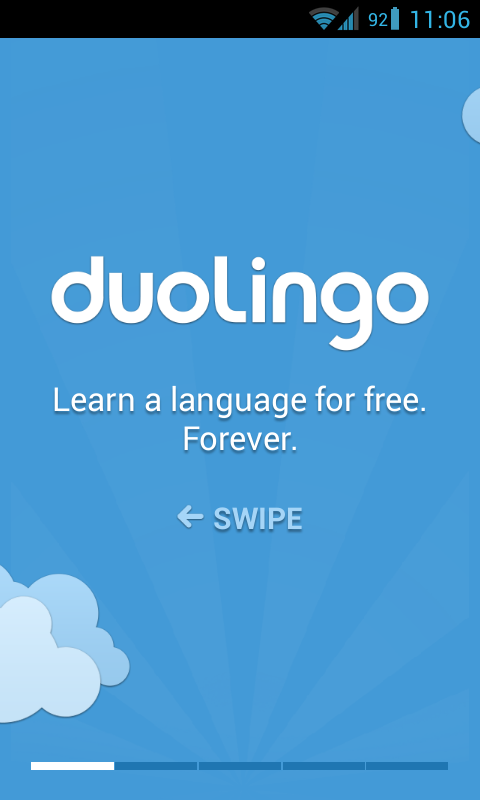 But I can sit here all day singing the praises of Duolingo, but what’s it to do with Android? Well, after a long time of iOS exclusivity, Duolingo now also has a very nifty, absolutely free Android app that we’ll be taking a look at today. So ready your dictionaries, because here we go! At this point the app has gotten multiple updates over the course of its launch, and at this stage it’s incredibly polished and optimized. It has a very unique and exotic UI, but it’s easy to learn and everything is as intuitive as it can be. Duolingo started out as a website, so it retains some of that look and design elements. It offers Spanish, French, German, Portuguese and Italian to learn, all of them with the same level of depth and features. Quite a limited selection so far, but according to the developers, new languages are always on the way. 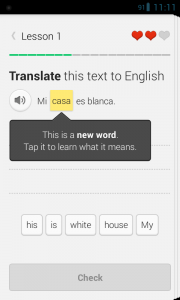 The app also tries to be as friendly as possible and conjugates every language on their own section, so you can even learn multiple languages at the same time without much hassle and getting it all mixed up. So, let’s go ahead and install the app. You can find it through this link, or directly through their website clicking here. 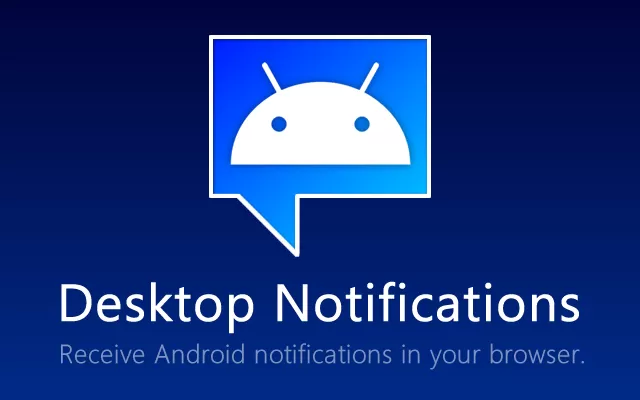 After installing and opening the app, you’ll be greeted with a short introduction with some of the features of the app. Swipe left to advance, and at the last screen you’ll be offered to login or create an account. So, go ahead and create an account. Once you log in, you’ll see a brief orientation, and then will finally be able to take one of the lessons, or advance straight to the next level by tapping the keyhole and taking an advanced test. The way the lessons work is fairly simple and self-explanatory, attempting to teach you through your mistakes and using visual and audio aids. The map you’ll see consists of various blocks, each representing a different topic. 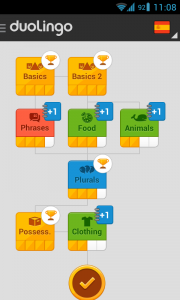 Topics tend to be very general at first and then very specific as you advance through the map. Each block is also made up of various lessons, depending on the number of new stuff the block has to teach you. Correctly finishing a lesson grants you the chance to advance and beat the block, and after beating the block you can advance to a new one. Sometimes, the path also splits depending on your progress, and you get to choose what you want to learn next. If you already know the basics, you can always skip to the next major section and get advanced lessons. It’s a pretty cool way to deal with that problem and keep from scaring away experienced users that just want to freshen up on their French. Lessons vary in content, covering a wide range of subjects and topics, slightly escalating in complexity with every new unlock and forcing you to apply what you have learned in previous lessons. There is a variety of methods in every lesson, from ordering words to form a correct sentence, typing what you hear, correctly translating from the language to English and vice-versa and identifying an item from a series of photos. You are allowed 3 “lives” (basically, chances to make mistakes) per lesson, and whenever you fail the answer is revealed to you. 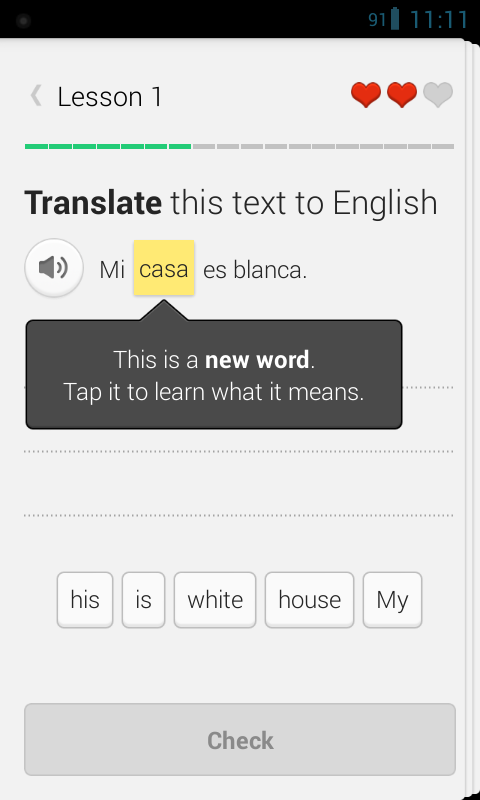 New words or expressions that may appear are highlighted, and tapping on them offers the definition and correct conjugation. Later, for words you have already seen, tapping on them offers 3 possibilities for the definition, and you must choose which one is correct. It’s a great way to learn vocabulary and keep you on your toes. 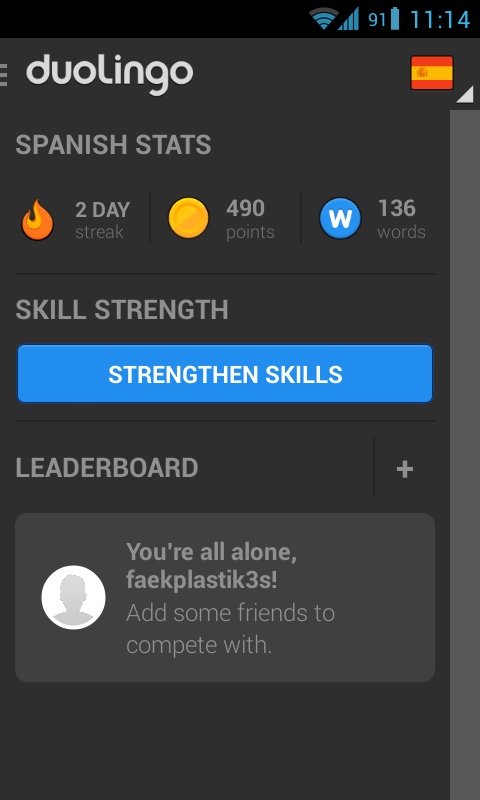 Duolingo tracks your progress on the sidebar, letting you know how many words you’ve learned, current level, current day streak and how you rank up comparing to your friends, if you add them. It also offers you a way to just practice words, basically making a lesson consisting of a little bit of everything you have learned so far. 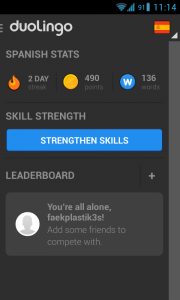 To access the sidebar just swipe right in the map or press the Duolingo icon at the top left. The Settings are pretty basic, allowing you to turn off sound effects and configure reminders. Duolingo will automatically remind you to practice every day by both e-mail and a notification on your phone, and you can individually turn both of these off. 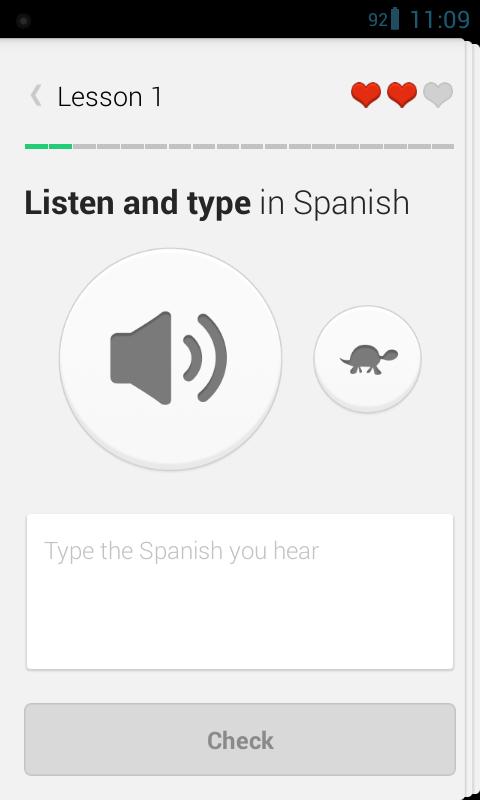 So, this is Duolingo, so far the best app of its kind that I have found on Android. It’s easy to doubt the validity of these kinds of apps and services, but the truth is that you should at least give it a shot if you’re interested at all in the subject. 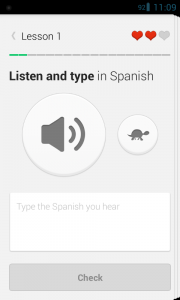 Even if you already know a certain language, this app is a great way to brush up on your skills if you’re feeling rusty or have no other way to practice. Best of all, it’s completely free and both the content and the app are fairly high quality, certainly worth a look. 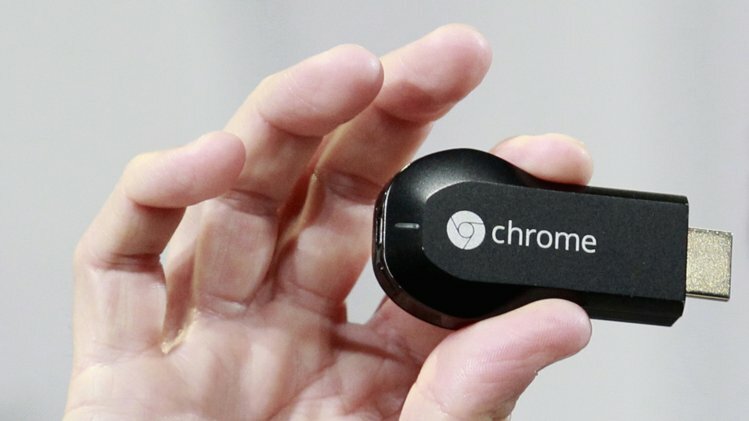 Unfortunately it requires an internet connection for it to work, but apparently an offline mode will be added soon, along with a couple new features. Have you tried Duolingo, or have another app like it that you prefer instead? If so, as always, let us know in the comment section below!